Learn how to write, publish, promote and sell your book! If you have always wanted to see your work published, then this book is designed for you. You will learn everything you need to know to write, publish, promote and sell your own book. Inside this book you will find comprehensive information about the publishing industry. 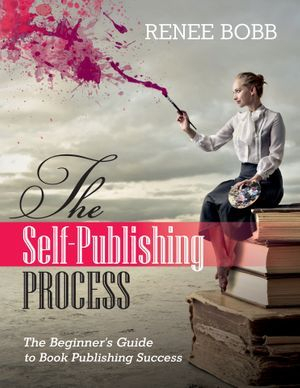 Complete with contact information and tools to help you publish your book and succeed. If you have a strong passion to write a book, then this book is for YOU. The image that you and your company project is all part of marketing your book. A good marketing program requires dedication, financial investment and consistency. Don't forget--be creative. You want to attract positive attention to your book! Effective book marketing is one of the most important elements to an author’s success in the book publishing industry, but it is often the most overlooked asset a company has. Secure a Distribution Company to Distribute Your Books. When you order you will receive the e-book: Creating a Buzz with Effective Book Marketing and Selling Strategies. Two-MP3 Recording from Book Publishing Coach Renee Bobb. A copy of the Book Marketing Resource Guide to include Marketing Tracking Forms, The 90-day Book Marketing Plan of Action System and many more forms that can help you stay focused and produce results. Are you seeking options to finance your business? Have you been marketing and promoting your business with no results? Are you trying to identify the right business strategies to reach your target audience? 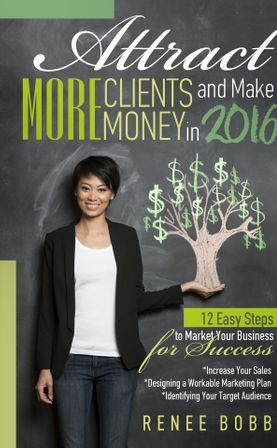 Training includes a 90 minute MP3 Recording of the training "Attract More Client and Make More Money in 2016", plus the training book, and training materials to help you achieve your goals. Let Today Be The Day You Turn Your Dreams of Publishing a Book Into Reality!